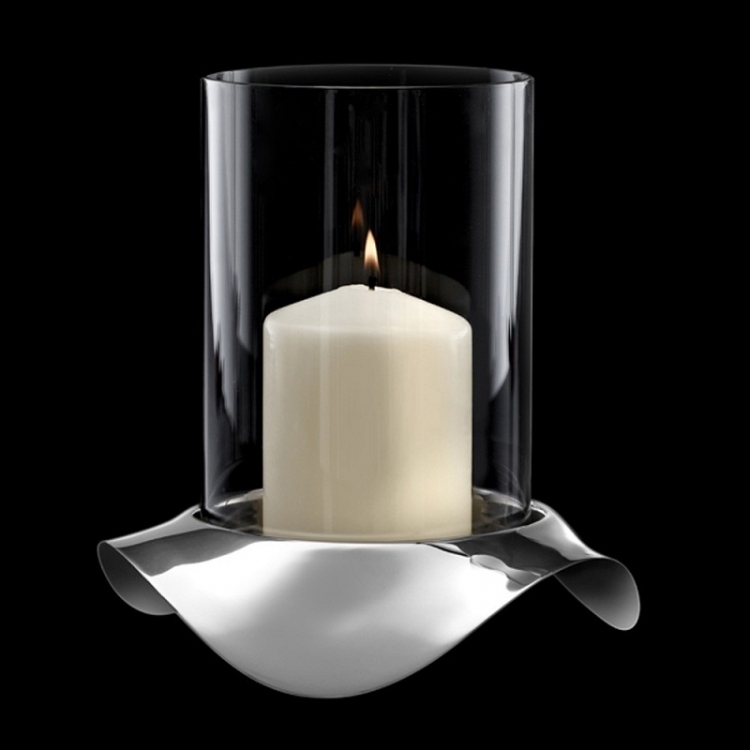 Drift is a large hurricane lamp with a flowing, wave-like base and a glass surround. 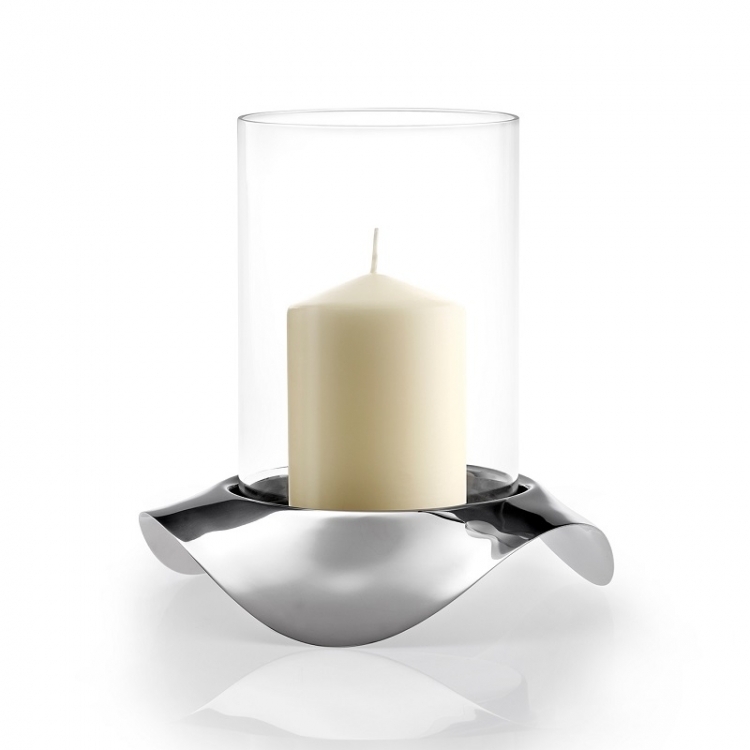 The reflection of candlelight on the stainless steel casts a magical light wherever it is used - indoors or outdoors. 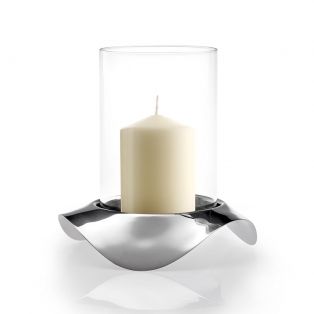 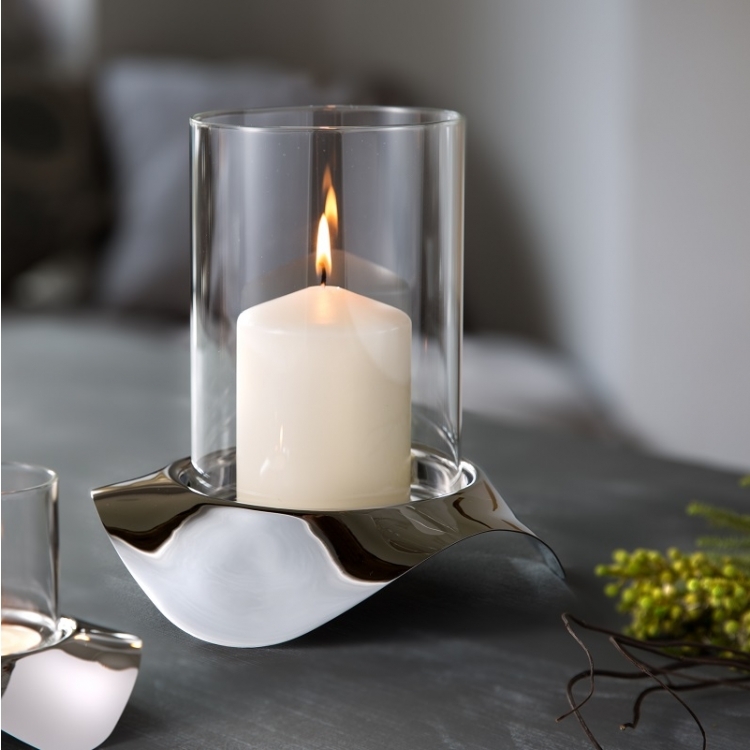 The Drift hurricane lamp can also be used as a candle holder without the glass surround.